Home NEWS Driver of Matuu bus accident that killed 14 people surrenders to police. Driver of Matuu bus accident that killed 14 people surrenders to police. The driver whose bus rammed into a stationary trailer and killed 14 people in Matuu yesterday morning has turned himself to the police. He had disappeared into the thin air immediately after the accident that left 27 others with serious injuries. He is set to appear in court this morning to face various charges. Those killed include 13 adults and a child, while more than 10 others have been taken to Matuu Level Four Hospital. 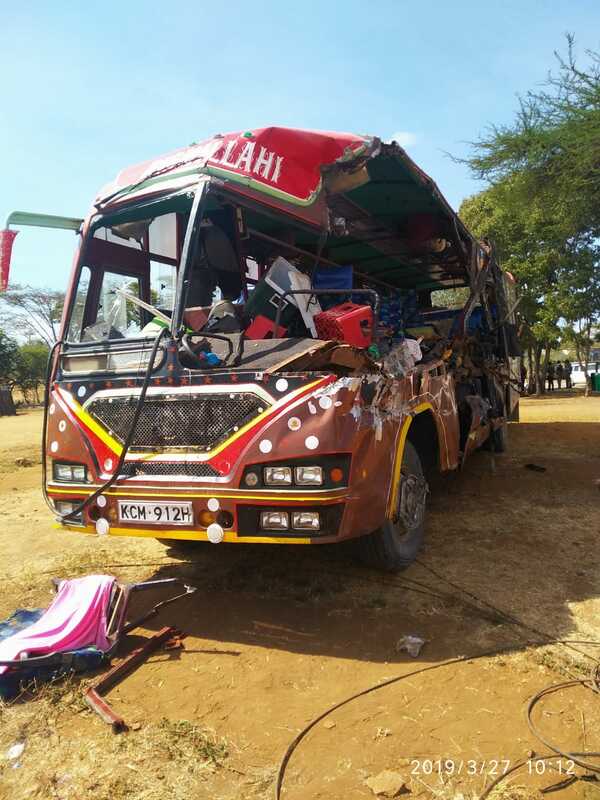 According to Yatta police boss Njoroge Karanja, the accident occurred when the bus heading to Nairobi from Mandera rammed into a stationary truck. Mandera Governor Ali Roba said the victims of the accident are set to receive support from a Sh6 million kitty set aside by his county government. The money, being part of the county disaster fund, will assist families of the dead and 27 others who were injured. Roba said Sh3 million will be used to support families who lost their loved ones, while the other half will cater for medical bills of the survivors. He added that majority of the victims were residents of Mandera including his own bodygyard who was heading to Nairobi on official duty.